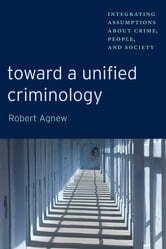 In Toward a Unified Criminology, noted criminologist Robert Agnew provides a critical examination of these assumptions, drawing on a range of research and perspectives to argue that these assumptions are too restrictive, unduly limiting the types of "crime" that are explored, the causes that are considered, and the methods of data collection and analysis that are employed. As such, they undermine our ability to explain and control crime. 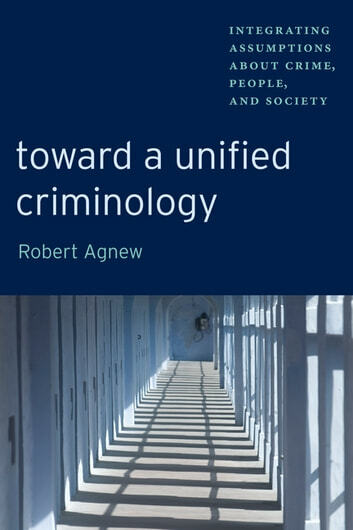 Agnew then proposes an alternative set of assumptions, drawing heavily on both mainstream and critical theories of criminology, with the goal of laying the foundation for a unified criminology that is better able to explain a broader range of crimes.